That last drop of blood had almost been reached. Turkish mines and bombardment opened huge gaps in the city walls. Sewage, rubble, and corpses littered the streets and disease ran rampant. After fending off 18 major Turkish assaults, only a third of the originally 11,500-strong garrison remained fit for combat and their munitions were nearly exhausted. Starhemberg knew that Vienna’s defenses were at their end. The city’s only hope was the timely arrival of the anxiously awaited Christian relief army. Without that army, the Turks would pour into the city and wantonly enslave and butcher its inhabitants. At least Starhemberg could take heart in knowing that conditions were little better among the enemy. Among the Turks disease was out of control owing to inadequate sanitary facilities, casualties were horrendous, and morale was sagging. Worse still, there were rumors of an immense Christian army approaching from the Vienna Woods. Nonetheless, Mustafa’s confidence in victory remained undiminished. Mustafa had another reason to press on; he feared the Sultan’s punishment in the event of failure. 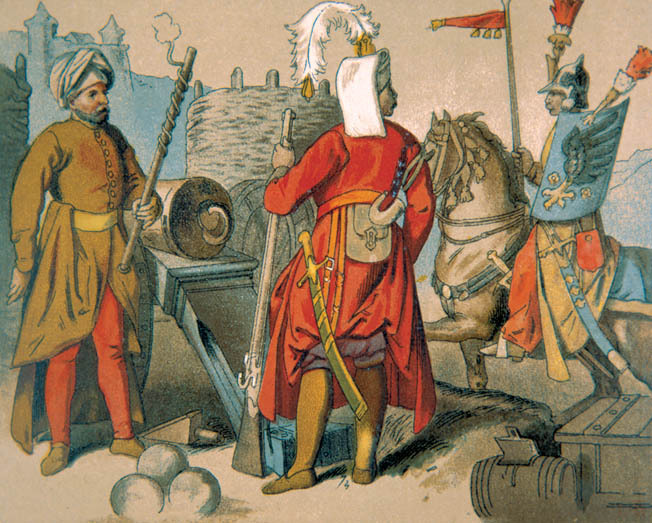 By laying siege to Vienna, Mustafa disobeyed Sultan Mehmed IV (1648-1687), who intended that Mustafa do little more than capture Imperial frontier fortresses. But such modest aims did not satisfy Mustafa. Outwardly handsome, dignified, and a devout Muslim, inwardly the Grand Vizier was an arrogant power monger with an unveiled hatred of Christians. His one redeeming quality was his personal bravery, but even this was tarnished by acts of extreme brutality; he once flayed captured Poles alive and sent their stuffed hides to the Sultan as trophies. Mustafa cared only for his own career and freely used deceit and blackmail to make up for his lack of any real talent. Determined to follow in the footsteps of the great Islamic conquerors of old, Mustafa had set out to overcome the barrier that once before, in 1529, blocked the westward advance of the Ottoman Turks: Vienna, capital of the Holy Roman Empire and of the Imperial dynasty, the House of Hapsburg. 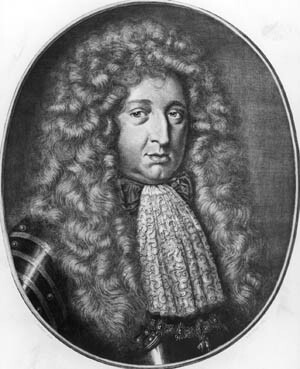 In contrast to the offensive spirit of Mustafa, Holy Roman Emperor Leopold I (1658-1705) cowardly fled his own capital for the safety of Passau. A bookworm and music composer, the pious Leopold wasn’t much of a warrior. But he wasn’t going to abandon his capital to the Turks either and feverishly petitioned the German and Polish nobility to come to Vienna’s aid. Leopold’s cries for help did not remain unanswered. By September 7 a mighty army had gathered in the Tulln valley. There was John III Sobieski, King of Poland and Duke of Lithuania, with 18,000 Poles; the Elector Max Emmanuel of Bavaria with 11,000 men; and Prince George Friedrich von Waldeck with 8,000 Germans from Franconia and Swabia. Prince George of Hanover (the future King George I of England) arrived with a bodyguard of 600 cavalry sent by his father Duke Ernst August of Hanover, and there were 9,000 Saxons led by the Elector of Saxony, John George III von Wettin. Together with Imperial General Lieutenant Duke Charles of Lorraine’s 20,000 Austrians, the allied army numbered over 66,600. Many princely volunteers accompanied them, including young Prince Eugene of Savoy. Recently defected from the service of Louis XIV, Eugene brought nothing but his sword and steed. The “Prince volontaire” would be fighting with the Austro-German cavalry. With so many prominent nobles, quarrels over command were unavoidable but were resolved through the selflessness of the Duke of Lorraine. Although cursed with a pockmarked face and a limp leg, his proven combat history against both the Turks and the French, his personal courage, humility, and charm gained everyone’s affection and admiration. On Lorraine’s recommendation, Supreme Command was given to Sobieski, King of Poland. Sobieski, who refused to serve under anyone, held the highest rank and had demonstrated his valor and skill by defeating the Turks at Khocizm in 1673. Albeit past his prime and so fat as to be unable to mount his horse without assistance, Sobieski nevertheless retained a sharp mind and, decked out in luxurious garb and armor, still looked the part of a charismatic commander-in-chief. Sobieski would lead the Poles while Lorraine nominally commanded the Austro-German forces. Beyond this each commander led his own men while adhering to Lorraine’s tactical plan. The idea was to march the army from Tulln through the Vienna Woods to the Kahlenberg heights (“berg” in German means height or mountain). From the heights a broad, sweeping descent would squeeze the Turks against the city, the Danube arm, and the Vienna River. The approach denied the Turks the natural defenses of the aforementioned rivers and, because the allies would emerge from out of the wilderness, they hoped to catch their enemy unprepared. By the 10th the main army reached the Weidling Valley on the northwestern side of the Kahlenberg. Colonel Donat Heissler’s vanguard of 600 dragoons had already reached the Kahlenberg heights three days prior, to light fires and alert Vienna of its impending relief. Early in the morning of the 11th, Lorraine sent reinforcements to Heissler, who led his dragoons, musketeers, and a band of Italian volunteers against the Turkish outposts at the Chapel of St. Leopold and the ruined Camuldensian monastery. After routing the Turks from the Christian holy places, Heissler launched signal flares into the night sky. To the defenders on Vienna’s battered walls, Heissler’s fires and flares were like a sign from God that their prayers had finally been answered. At 11 in the morning of the 11th, the Austro-German contingent moved into position on the heights, between Leopoldsberg and the Hermannskogel: Lorraine and John George with Imperials and Saxons on the left and Waldeck and Max Emmanuel with Franconians, Bavarians, and Imperials on their right. Both contingents placed their cavalry on their outer flanks. The Poles, meanwhile, were still struggling to cross the Weidlingsbach to form the honorable right wing of the allied army, between Rosskopf and Dreimarkstein. Later that day, the princes and generals met on the ridge to behold a panorama of the siege. Below them Turkish siege works and camps surrounded the city, wedged beneath the Vienna River to the south and the Danube arm to the north. A dim haze of smoke rose from the constant artillery barrage, exploding mines, and campfires. More worrisome was the rugged terrain of precipices, ravines, and woodlands that led down from the hills to the plain below. Angered, Sobieski claimed that the maps sent to him by Imperial commanders had misled him. He expected the terrain to have been far more level and now proposed either a detour to the south or a slow, meticulous advance. These ideas were stoutly overruled by the other generals who decided to continue with Lorraine’s original idea of a full-scale attack from the ridges of the Vienna Woods. Although the terrain was rough it was noted that Mustafa had done very little to fortify his besieging army. Nevertheless, the Polish king did manage to gain the transfer of four Hapsburg infantry battalions to support the Polish cavalry. That night Lorraine ordered his general of artillery, Count James Leslie, to place a battery along the edges of the Kahlenberg to provide supportive fire for the main advance. While the artillerymen labored, cries of “Allah” and the incessant artillery bombardment of Vienna robbed many of the Christians of their deserved sleep. Moreover, the previous day’s march had been carried out at great speed in the face of difficult terrain and stormy weather. To lighten the load, many supplies were left behind, leaving the men with empty stomachs and forcing the horses to feed on leaves. Despite these hardships morale remained high. Below the Christians, over 70,000 Ottomans and auxiliaries, deployed between the Danube and the Vienna Rivers, awaited the Christian attack, surprise having been passed. Kara Mehmed Pasha, Beylerbeyi of Diyarbakir, with 10,000 troops—including the Bosnian-Rumelians, centered on the Nussberg—made up the right wing. Behind him, on Prater Island, there were a further 5,000 Moldavian and Wallachian reinforcements. The bulk of the Turkish center under Ibrahim Pasha, Beylerbeyi of Buda, and Kara Mustafa occupied the fortified ridges above the Döblingerbach and Krottenbach up to Weinhaus. Ibrahim and Mustafa’s forces, made up of cavalry, seymen peasant militia, and janissary infantry, were about 23,000 strong. Beside them, on their left, Abaza Sari Hüseyin Pasha, Beylerbeyi of Damascus, commanded the rest of the central line. His 15,000, mostly cavalry, units covered the Weinhaus-Ottakring-Baumgarten line with smaller detachments deployed in the Schafberg area to slow down and hamper the initial Christian advance. Here the walls and buildings of numerous vineyards provided shelter for the defenders. Along the northern bank of the Vienna River, on the left wing near Mariabrunn, stood 18,000 Tartars. “By Allah, the King is really among us,” blurted their Kahn when he discovered that Sobieski himself led the relief army. 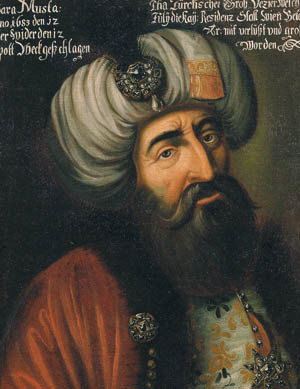 In a decision opposed by Ibrahim Pasha but approved by the other senior generals, Kara Mustafa decreed that the remaining 15,000 janissaries and provincial troops would continue the siege of Vienna. At 5 am on the 12th, Kara Mehmed’s vanguard opened the battle by attempting to disrupt the deployment of Leslie’s artillery. From his viewpoint at the ruined monastery, Lorraine noticed that an advance of the whole Turkish right accompanied the attack on the battery. In response, Lorraine sent reinforcements to Leslie and ordered the advance of the Austro-German left wing. By sunrise, of what came to be a sunny and clear day, Waldeck and Max Emmanuel also received orders to begin the descent. After informing Sobieski of his actions and gaining his approval, Lorraine hurried off to lead the Austro-Saxon troops pouring down the defiles of the Kahlenberg. The Polish king prepared himself for battle by attending a Mass held in the Chapel of St. Leopold. To the Turks it seemed “as if an all consuming flood of black pitch was flowing down the hills” at whose head fluttered proudly a large red flag with a white cross. Lorraine’s main concern was the maintenance of a unified front, a daunting task due to the uneven ground. Reinforced by Duke Eugene of Croy’s infantry, the Austrians routed the Turks firing at Leslie’s artillery and together with John George’s Saxons to their right established a line facing the Nussberg-Karpfenwald. Supported by light artillery fire and maintaining an unrelenting barrage of musketry fire, the Austrians slowly but steadily advanced up the Nussberg. Here there was stiffening resistance by the Turks, who skillfully used the cover of the terrain to their advantage. An Imperial regiment that had reached the outskirts of Nussdorf was repulsed, while the Turks still holding Kahlenbergerdorf threatened the Austrian left flank. Lorraine ordered Count Caprara to storm Kahlenbergerdorf from the shoulder of the Leopoldsberg. With Heissler in the lead, the dragoons encountered initially heavy resistance but, supported by Prince Jerome Lubomirski’s heavy cavalry, seized Kahlenbergerdorf and advanced beyond it. But Mehmed’s men, now reinforced by seymen, rallied and threw the Christians back to the village. On its outskirts, the Turks fell upon the wounded, beheading the dead and dying. By 10 am the German left wing occupied the rim of the Nussberg. Unfortunately, on their right Waldeck and Max Emmanuel had failed to keep up with Lorraine’s advance. This exposed the right flank of the Saxons, who had veered left from the Karpfenwald to bolster the Austrian attack on the Turkish Nussberg positions. Lorraine called for a halt to allow Waldeck and the second and third Austro-Saxon battle lines to catch up and reestablish a solid front. Joined by John George, Lorraine hurried off to the front line to take personal charge of the German soldiers. Sobieski, meanwhile, left the Chapel to hasten the movement of the Poles who still had not arrived in position south of Waldeck. Recognizing the loss of the Nussberg to be a serious threat to their right flank, the Grand Vizier and Ibrahim Pasha mounted a vicious counterattack but were pushed back into the flatter terrain around Grinzig. A second assault proved more successful so that the Imperial infantry began to waver but was saved by the arrival of dragoons and the elite armored cuirassier heavy cavalry. John George and his bodyguard cavalry took part in the action. Wounded in the cheek by an arrow, the Saxon Elector cut down a Syrian lancer. Pursuing their advantage, the Saxons advanced down the Muckental in the direction of Heiligenstadt while the Austrians moved toward Nussdorf. Supported by Leslie’s artillery, now deployed on the Nussberg, and Caprara’s advance from Kahlenbergerdorf, Saxon and Imperial dragoons under Margrave Ludwig Wilhelm of Baden and Heissler led the attack on Nussdorf. Entrenched in the village cellars, ditches, and ruined walls, the Turks put up fierce resistance and were only overcome by the arrival of Wilhelm’s uncle, Field Marshal Herman of Baden, leading the Austrian infantry. To the south, Field Marshal von Goltz’s Saxons successfully drove the Turks from Heiligenstadt and Grinzig. At noon Lorraine called for another halt to allow his troops to recuperate. The morning’s actions had been a complete success. The whole Turkish right wing of Kara Mehmed was completely overrun or destroyed. The Austro-Saxons now faced Ibrahim Pasha across the Döblingerbach. Waldeck and Max Emmanuel, who had encountered little opposition, reached Ibrahim’s flank across the Krottenbach while Caprara and Lubomirski scattered the Romanians along the Danube. The Poles finally appeared on the heights after an exhausting march through the rough terrain of the Weidling Valley. In the center, Sobieski with Artillery General Martin Katski descended from the Gränberg. On the left, Fieldhetman Nicolas Sieniawski came down from the Dreimarkstein, and on the right Crownhetman Stanislaw Jablonowski came down from the Rosskopf. Polish infantry and the borrowed Hapsburg battalions screened the descent to allow the establishment of an unbroken cavalry front on the plains below. Thorn bushes, grapevines, ditches, hedge-rows and individual gönüllü suicide charges slowed down the Polish advance. Nevertheless, in spite of a spirited defense by Abaza Sari Hüseyin, the Poles, supported by artillery fire, steadily pushed forward. With Sobieski in the lead the Michaelerberg was reached by 2 pm. The Germans, who now came into view, gave off a terrific cheer upon spotting the arrival of their Polish allies. Beyond the Michaelerberg, on the slopes of the Schafberg, the Poles were brought to a momentary halt. Ahead of Sieniawski, 1,000 janissaries infiltrated the vineyards behind Plötzleinsdorf, disrupting the junction between Sieniawski and Waldeck’s right wing. The janissaries put up a stout defense but were dislodged with the arrival of Imperial cuirassiers. Around 4 in the afternoon, Sobieski and Sieniawski reached the level terrain east of the Schafberg. On their right Jablonowski fended off a feeble attack by the Tartars near Mariabrunn. Sobieski now called a halt in order to build a more organized and solid front. Kara Mustafa, aware of the new Polish threat to the Turkish left wing, used the respite to withdraw troops from Ibrahim in order to bolster Hüseyin Pasha. Sieniawski reopened the battle by sending out a choragiew (standard Polish cavalry unit) of Crown hussars. These crashed through two enemy lines but the 150 or so horsemen were unequal to the task. Forced to retreat they lost a third of their number. Falsely anticipating an Ottoman advance the overzealous Sieniawski sent in a second choragiew. 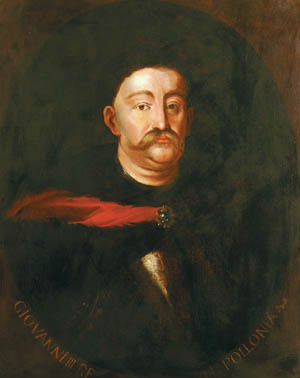 Stanislaw Potocki, Starhorst of Halicz, volunteered to lead the charge. Again the Poles broke through the Turkish ranks and again the Turks rallied to close the gap. Stanislaw paid for his bravery with his life; a Turk sliced off the top of the Pole’s head. Further units of Polish cavalry now charged the Turks who opened their ranks and then fell upon the Poles from all sides, inflicting heavy casualties and killing several Polish lords, including Andrzej Modrzewski, the Crown Grand Treasurer. The slaughter was followed by an all-out Turkish pursuit, which soon came under fire from the Hapsburg infantry on the Galitzenberg. Reinforcements from Sobieski’s center and the timely arrival of dragoons and cuirassiers from the German right helped stop the Turks in their tracks. With the withering of the Turkish assault and Jablonowski occupying the Galitzenberg on the Polish right, Sobieski at last established an unbroken line for the next advance. North of the Poles the Germans had long since recuperated. Despite the heat and the exertions of the morning’s battle, the troopers were so eager to advance that officers were forced to restrain them with the flat of the blade. Facing them was Ibrahim Pasha on the ridges above the Krottenbach-Döblingerbach. The Turkish position was the strongest along the entire front but had been weakened by the dispatches sent to face the Poles. Lorraine Hesitates: Stop for the Day or Continue the Attack? The attack opened with a terrific barrage of musketry fire from the Christian squares, demoralizing and thinning the Turkish defense. 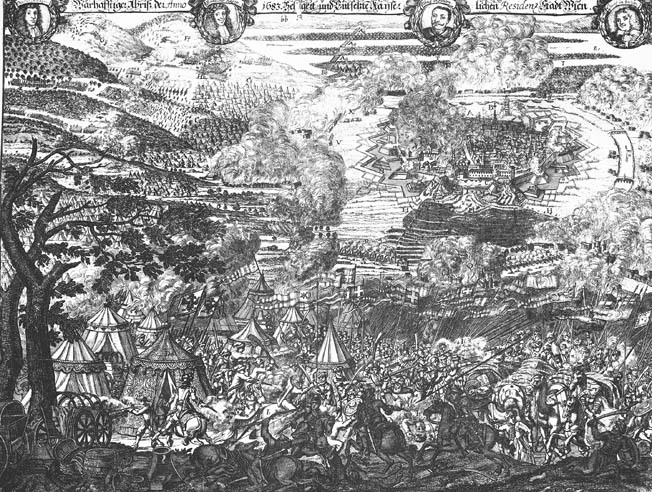 At around 5 pm the Franconians and Bavarians launched an assault on the Türkenschanz, the location of the Holy Banner. Ibrahim Pasha’s entire front now collapsed, opening the way to Vienna. Instead of moving toward the city, however, Lorraine recognized the opportunity to strike at the right flank of Hüseyin Pasha, who was currently getting ready to withstand Sobieski’s all-out advance. Like Lorraine, Sobieski had at first been content with the day’s gains but was persuaded to continue the battle by the aggressive spirit of Sieniawski and the Germans. With the cry of “Jezus Maria ratuj” (Jesus Maria help.”) the whole Polish line rode down upon the Turks. Encased in glittering steel that covered head to thighs, with their tiger and leopard pelts fluttering in the wind and eagles’ wings affixed to their backs, the leading units of hussars presented an almost unearthly spectacle. Armed to the teeth with a 19-foot pennon-tipped kopia lance, a curved and a straight saber, four pistols, and a battle hammer, and mounted on a powerful armored steed, the hussar was the epitome of the Polish cavalier. Following the hussars were pancerny and kwarciany. Likewise made up of Polish aristocrats, the cavalrymen of the pancerny wore helmets, mailed shirts and shields and wielded short lances, falchions, the handzar dagger, poleaxes, and musketoons or bows. The kwarciany light cavalry of the poor Polish gentry and foreigners wore little armor and brandished short lances, sabers, and the occasional pistol. Leading the whole attack was Sobieski himself, his armor decked out in blue, luxurious semi-Oriental garb, his hand holding the bulawa marshal’s baton. On his side, curved saber in hand, rode 14-year-old Prince Jakób. Slowed by vineyards and uneven terrain, the heavy Polish cavalry did not pick up speed until it reached the open terrain of the Baumgarten-Ottakring-Weinhaus area, where it ran into Turkish skirmishers and artillery fire. Turkish guns ripped through the Polish ranks but the charge of the cavaliers proved unstoppable. Like thunder, the shattering of Polish lances resounded over the battlefield as the cavalry overwhelmed the Turkish battle line. Sobieski followed on the heel of his hussars, capturing the Turkish guns while the Turks, demoralized by Lorraine’s advance on their right flank, rallied toward their left wing opposite Jablonowski. In the Ottoman center, Kara Mustafa entered the fray personally to prevent the imminent capture of the Holy Banner by Waldeck’s steadily advancing Franconian-Bavarian foot. Flanked by sipâhî and silâhdar (two forms of cavalry; see sidebar), the Grand Vizier charged against a rain of German cannon and musket fire. Mustafa grasped the banner but all around him the Turkish attack crumbled, his men fleeing toward the Vienna River. Simultaneously the Ottoman left wing completely disintegrated as Sobieski led the combined forces against the Turks who had rallied in the Breitensee area. Boiling with vengeance, Mustafa ordered the troops in the trenches to stop the bombardment of the city and called for the destruction of equipment and massacre of captives. Mustafa knew the battle was lost but his will to fight remained undiminished. With lance in hand he led his personal bodyguard in a heroic but doomed assault against the Christians. One by one his personal retainers, his private secretary, numerous pages, and his whole Albanian bodyguard fell to the fire and swords of the infidel. Only the argument that his own death would cause the destruction of the remaining Ottoman troops persuaded Mustafa to break off the melee. Seizing the Holy Banner of the Prophet and his private treasure, the Grand Vizier fled the battlefield at around 6 in the evening to lead the retreat back to Györ. Erroneously fearing that the Turks might rally and counterattack, Sobieski forbade a full-scale pursuit and ordered his men to stay on guard. Lorraine’s forces, meanwhile, established contact with Starhemberg, who sallied out of the Schottentor to join the battle. Ludwig Wilhelm of Baden and his dragoons were given the honor of relieving the city. After marching up to the gate to the joyful tune of kettledrums and trumpets, the dragoons joined the defenders in cleaning out the few remaining Turks. At around 10 pm, after a further 600 Muslims were cut down, the battle came to an end. In the Turkish camp, Christian infants and children cringed among hundreds of butchered captives. Starhemberg’s garrison took revenge by burning the 3,000 abandoned Ottoman sick and wounded alive. In all the Turks suffered 15,000 casualties compared to 1,500 for the allies. 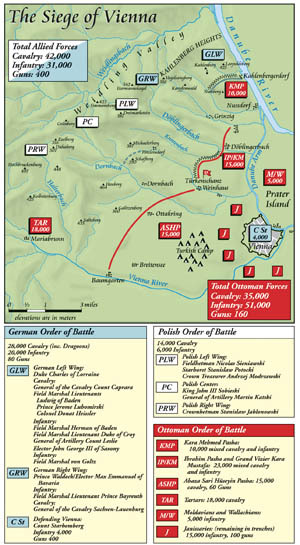 Sobieski ordered the German forces around the Türkenschanz and Jablonowski’s wing on the banks of the Vienna River to remain at guard throughout the night. A few Polish squadrons hunted down Ottoman stragglers beyond the Vienna River. However, Sobieski’s and Sieniawski’s own contingents, located as they were at the Muslim main camp, could not control themselves. Order and discipline broke down as the Poles feverishly pillaged the pick of the Muslim spoils. Instead of chastising his troops, Sobieski acquired the lion’s share of the loot for himself. Within the Grand Vizier’s pavilion, with its lavish courtyards, dining halls, baths, and gardens, the King found heaps of golden and bejeweled treasures. On the 13th Sobieski conducted a Roman-style triumphal march into Vienna to the cheers of the populace, who cried, “Long live the king of Poland.” Sobieski’s egotism came as a bad affront to the Austro-Germans. The premature looting of the Poles was bad enough, but Sobieski’s entry into Vienna before the Emperor was an insulting breach of protocol. Lorraine particularly was disgusted by Sobieski’s vanity, which on the 13th prevented an opportune pursuit of the demoralized enemy and allowed Mustafa to carry thousands of Christian children into captivity. On the morning of the 14th the Germans rummaged through whatever loot remained at the Turkish camp. Around noon the electors Max Emmanuel of Bavaria and John George III of Saxony met Emperor Leopold himself at Vienna’s gates. Surveying his devastated capital, Leopold found many of the buildings in ruins, although thankfully the limited range of the Turkish artillery had left much of the interior of the city untouched. Upon hearing the news of Sobieski’s march into the city, Leopold became greatly aggravated. He so lost his nerve that he tactlessly paid little attention to Lorraine’s problems of provisioning the relief force or those of George III who, being a strong Protestant, brought up the matter of Leopold’s mistreatment of the Hungarians. Fed up, John George III marched his troops back to Saxony. The next day Leopold rode out to the Polish camp at Schwechat to visit the self-proclaimed savior of Vienna. The meeting began well but deteriorated when Leopold coldly ignored the presence of Sobieski’s son Jakób, whom Sobieski had hoped to marry to Leopold’s daughter. Jakób showed his good nature by taking no offense, but his father, urged on by his anti-Hapsburg Francophile nobles, magnified the incident to such a degree that his relationship with Leopold remained forever strained. Nevertheless, Sobieski remained to lead the pursuit of the Turks. At Parkan on the 28th, he and Lorraine annihilated a Turkish corps. With the remaining Turks on the retreat back to Belgrade, the towns that had submitted to the Sultan now reaffirmed their allegiance to the Emperor. While the allied victory had strained, rather than cemented, the ties between the Holy Roman Empire and Poland, the rest of Christendom celebrated. In the streets of Vienna and in the cities of Austria and all through Europe there was a feeling of euphoria. It was the greatest victory over the Turks since Don John of Austria’s 1571 victory at Lepanto over the Sultan’s armada. For his heroic defense of the city, Starhemberg was awarded 100,000 crowns, the Order of the Golden Fleece, and the title of field marshal. The magnitude of the defeat was not lost to Kara Mustafa who sought to escape the Sultan’s vengeance by blaming his defeat on subordinate commanders, executing those that might inform the Sultan of the Grand Vizier’s mishandling of the Ottoman army. Mehmed IV remained unconvinced. During the battle, the Christian commanders and troopers fought with skill and courage while, tactically, their attack through the Vienna Woods wisely avoided the natural defenses of the Danube and Vienna Rivers. Nevertheless, their victory was not so much due to any Christian brilliance as it was to Mustafa’s negligence and arrogance. By failing to properly fortify his army from an outside attack and leaving many of his janissary units in the trenches surrounding Vienna, the Grand Vizier sealed the fate of his army. Mustafa would pay for his failure. On December 25, 1683, while staying in the palace at Belgrade, the sultan’s emissaries executed the Grand Vizier by strangulation and sent his head to Constantinople. The sultan’s anger was not unfounded. A Turkish victory would not have meant the end of free Christendom, because France would have presented a bulwark to further Ottoman expansion. However, Austria was saved and, more importantly, the initiative passed to the Holy Roman Empire. After hundreds of years of warfare the Christians had turned the tide against the sword of Islam. Under Max Emmanuel, Ludwig Wilhelm “Türken Louis” of Baden and above all Lorraine and Prince Eugene of Savoy, the Holy Roman Empire would slowly but surely roll back the Ottoman hold on Eastern Europe. Tags Albania, Albanian, Allies, artillery, Austria, axe, Battle of Vienna, battlefield, Bosnia, cannon, cavalry, CIA, Constantinople, Duke of Lorraine, Eastern Europe, England, Ernst Rüdiger von Starhemberg, Europe, Falchion, France, French, general, German, German Cavalry, Holy Roman Empire, Islam, Janissaries, Kara Mustafa, lance, Leopold I, Light Artillery, Militia, Muslim, Odin, OSS, Ottomans, Pola, Poland, Polish cavalry, POW, Prince Eugene of Savoy, Prince Jerome, Roman, roman empire, Romania, Rome, Savoy, Saxon, Saxons, Sobieski, Squad, Sultan Mehmed IV, sword, swords, Syria, Tern, Thor, Tory, Troy, Vienna, Wallachia, WIN, wounded.